Want a treat? 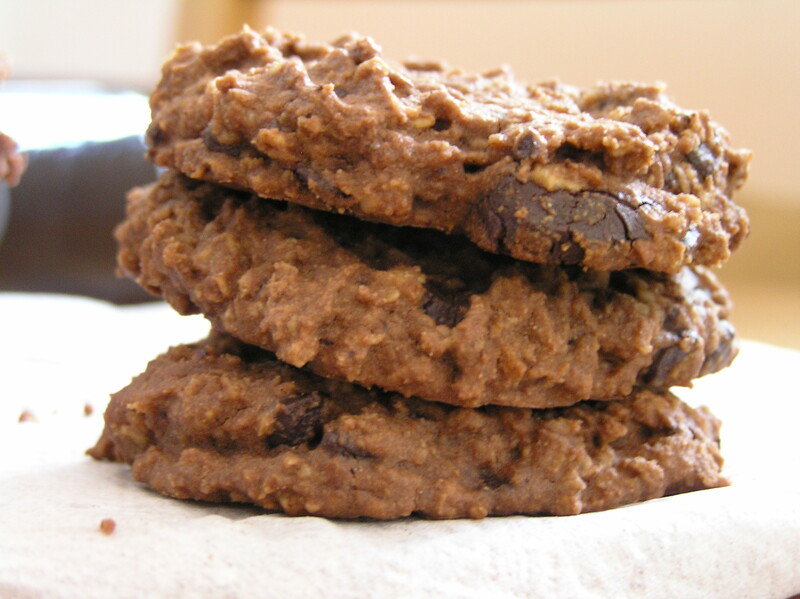 Chocolate Chunk Cookies will satisfy your sugar fix even though the recipe has little added sugar. In large bowl mix oats, sorghum flour, cocoa, sugar and baking powder. In separate bowl mix egg, almond milk, coconut oil, vanilla extract and apple cider vinegar. Add liquid ingredients to dry ingredients. Lightly mix. Add chocolate and mix until blended. On parchment lined baking sheet scoop out 1 1/2 tablespoon of dough, about 1/2 inch apart. Flatten with back of fork. Bake in 350 degree oven for 20 minutes. Let cool on rack.